(Natural News) Adding more tart cherries to your diet is an effective way to improve gut health, according to a study published in The Journal of Nutritional Biochemistry. In the study, researchers examined the effect of tart cherry concentrate on gut bacteria using both laboratory testing and clinical trials. 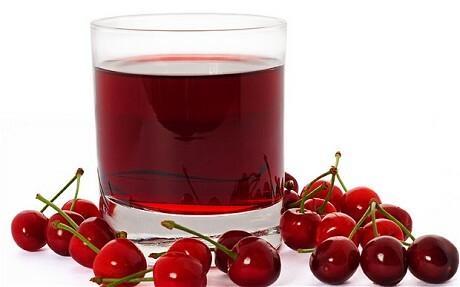 Earlier research has shown that polyphenols have a prebiotic effect, and tart cherries have a unique composition of polyphenols, particularly chlorogenic acid. For the petri dish trial, the researchers used concentrated juices of Montmorency tart cherries, commercially available concentrates, and apricot cultivars — all of which did not contain dietary fibers. These were then submitted to bacterial fermentation tests. To evaluate how the fruits affected the gut microbiota, these samples went through DNA extraction and sequencing. The clinical trial, on the other hand, involved nine healthy participants who did not consume an antibiotic at least 12 weeks before it started. In the trial, the participants drank eight ounces of Montmorency tart cherry juice daily for five days. They also answered a food frequency questionnaire and underwent stool tests before and after the tart cherry treatment. The laboratory tests revealed that all tart and sweet cherry products improved gut health. The fermentation of sugars and carbohydrates served as the primary energy sources of good gut bacteria. Meanwhile, the results of the clinical trial demonstrated that the consumption of tart cherry juice improved gut health as shown by the increase of good gut bacteria. The researchers concluded that eating or drinking more tart cherries may improve gut health because of the fruit’s unique polyphenol mixture. In turn, this could lead to better health. Tart cherry juice is packed with nutrients. Compared to sweet cherry juice, tart cherry juice contains higher amounts of nutrients. It contains 20 times more vitamin A and five times more antioxidants than sweet cherry juice. It is rich in many nutrients and beneficial plant compounds, such as fiber, protein, vitamin C, manganese, potassium, copper, and vitamin K.
It is beneficial for physically active individuals. Tart cherry juice may boost strength and reduce muscle soreness. These make it an ideal drink for physically active individuals, especially after an intense physical exercise. It may ease joint pain and inflammation. People with arthritis and gout may find relief in tart cherry juice. Studies have shown that it can relieve joint pain and inflammation. It is good for the brain. Tart cherry juice is beneficial for the brain because of its high antioxidant content which helps improve brain function and reduce symptoms of dementia by reducing oxidative stress. Read more news stories and studies on other superfoods like tart cherry by going to Superfoods.news. Best Energy Pills – What to do When you are Low on Energy?